Could William McBane point me toward Jacob’s birthplace in Switzerland? 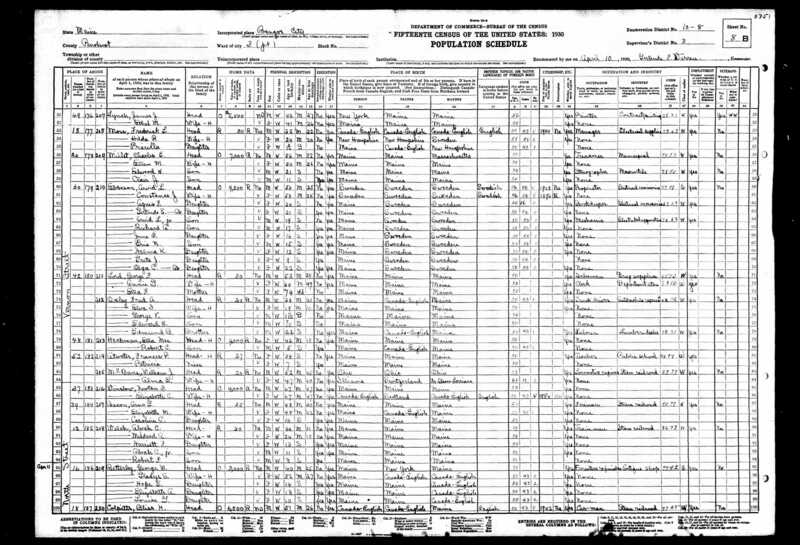 Talk with me about my family tree and there’s a chance you’ll hear me go on and on mention that I’m obsessed with interested in finding the birth place of my 2nd great-grandfather Jacob Koebe Mueller. Without this specific piece of information, I am at Brick Wall squared. A few months ago I acquired Jacob’s property records and his will and probate papers with the hope they would provide clues to his mystery home town in Switzerland. The information provided in these documents was priceless, but – ugh – no mention of Jacob’s place of birth. Same Alma as in 1930, but still no ah-ha moment verifying this is “my” Alma. Notice the Maine reference? Why was she in Maine in the 1st place? And assuming this is “my” Alma, why did she and her husband move to Illinois? And she’s a widow. Hmm. Maybe William’s death record will add a piece to this puzzle. I’m too far from the cemetery to drop by, so I phoned the office. Yes, William is buried there. No, there is no Alma, but there is an Abigail. And an Albert and Mable Wyckoff are in the same plot. Okay, so now who are Abigail, Albert and Mabel? 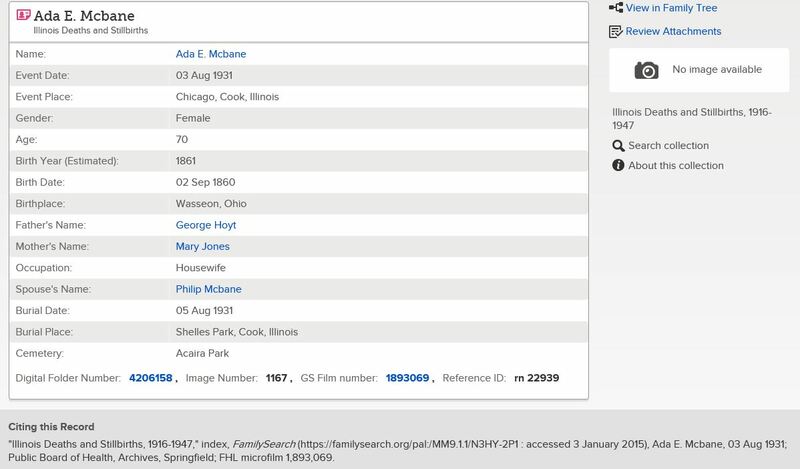 On FamilySearch I learned that an Albert Wyckoff married a Mabel McBane 26 Sept 1918 when he was 41 and she was 37 years old. 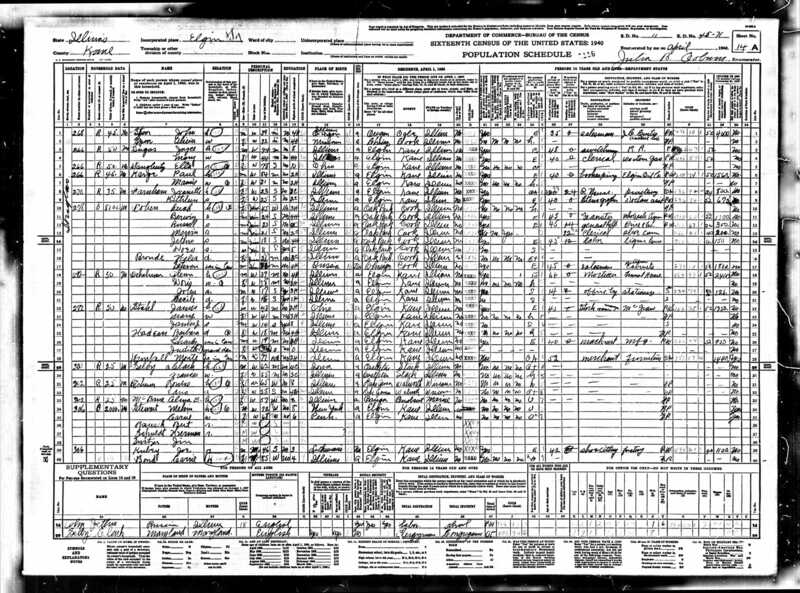 According to the 1920 census, the couple lived in Chicago with Mabel’s 70 year old mother, A. McBane. 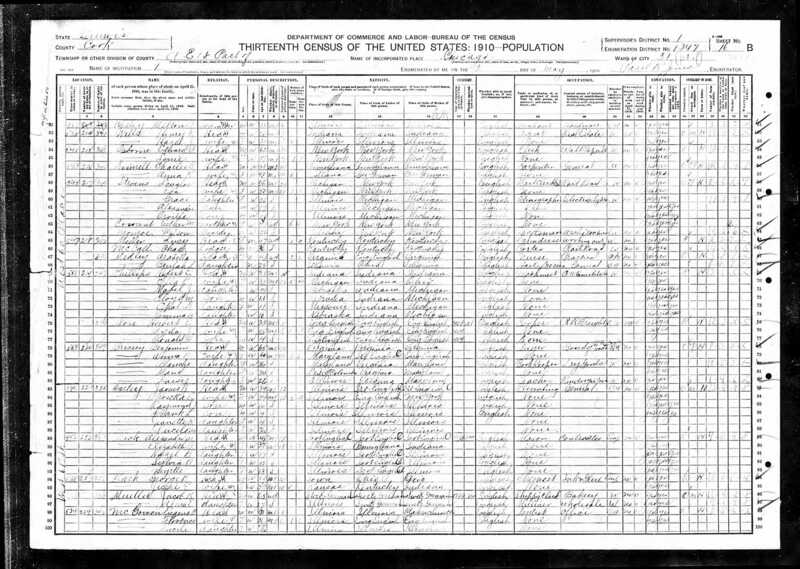 But why isn’t Mabel in any other census records with her mother or with William? Are Mabel and Minnie McBane the same person? Is Minnie/Mabel’s and William’s brother George the one listed in these other documents I found? Or is he, like his siblings, a man of many faces? 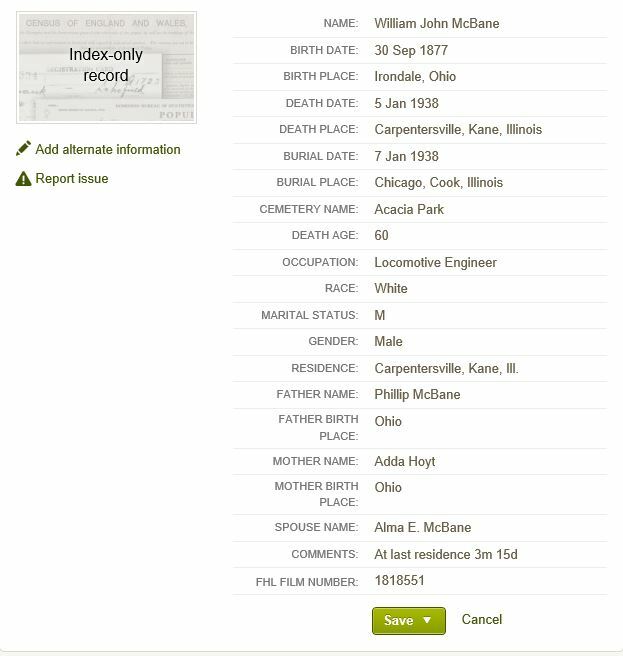 There is more than one William J. McBane born in Ohio in 1877. More than one who worked for the railroad. More than one who was married, divorced and married again. More than one who had an Ada, or Ida, or Mabel in their family. My head was spinning by the end of this research day. And although I had learned some interesting things about the McBanes and the Wyckoffs, I hadn’t found the information I wanted: the birthplace of my 2nd great-grandfather. Hours after chasing leads down one rabbit hole after another, I have come to the conclusion that William isn’t going to tell me the name of the town in which Jacob was born. At least not today. But my search was not fruitless. Maine appears to have been a job transfer for William. Alma followed him and they were married near the place they would call home for a number of years. Then they returned to Illinois where their families lived. Makes sense. William is buried in the same plot in Acacia as his mother and his sister. The plot was purchased when his mother died in 1931. Alma is buried at Oak Woods with her parents and her brothers. Their plot was purchased when Alma’s mother died in 1901. Logical. Granted, William didn’t tell me Jacob’s birthplace. But he did help me find Alma and provided some closure to her little branch of the tree.